Dr. Michael Atherton joined First Baptist Church as the Senior Pastor in April 2017. 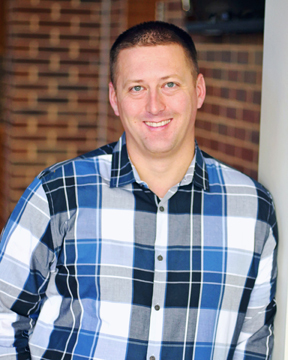 Mike grew up in the St. Louis area before going to college in Hannibal, Missouri, and seminary in Fort Worth, Texas. He has a deep love for the Lord and is passionate about the local church. Mike has served as a Senior Pastor since 1999 in Missouri, Texas, and Colorado. He is a lifelong learner, having earned three Master’s degrees and two doctorates. He is currently finishing a PhD in Biblical Ministry from Midwestern Baptist Theological Seminary. Additionally, Mike is an author, a nationally certified church business administrator, a conference speaker, former President of the Colorado Baptist Convention, and an adjunct seminary professor. Mike is married to Sara, and they have six children: Anna, Abby, Josh, Julia, Micah, and Mason. Mike and Sara love to spend time with their children, and their free time is typically spent at baseball parks and basketball gyms.